About the book: Don’t just be prepared–be prepared well. Ben Bernards, popular youth speaker, presents this adventurous book of seven guiding rules and lessons to help train a new generation of missionaries. These invaluable lessons, from God’s measure of success to unexpected difficulties in the field, will apply to any missionary’s call, readying them for the great and challenging experiences of the Lord’s work..
My review: I quickly got caught up in this book! This book is so well-written. I enjoyed the way the author wrote, he writes just the way he would give a talk at EFY. He has plenty of his own stories from his mission, and he uses the scriptures in a way that are easy for anyone to understand. I can see why the author is an EFY teacher, the way he writes makes it very obvious that he'd do an amazing job relating with youth that age. Reading this book makes me want to be able to go to EFY myself or at least EFY stalk the author so my teenager gets to go to his EFY session. 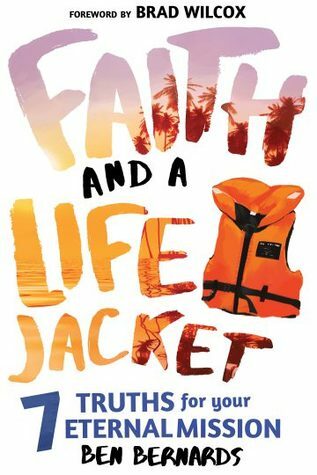 I loved that I was able to read and enjoy this book, it talks about the author's mission experiences but the 7 truths he talks about can and should be used by everyone, from every walk of life. This book was great, I enjoyed everything about reading it. Make sure you pick this one up for yourself and for your teen!